UFC: It’s rematch time when middleweight champion Chris Weidman defends his title against former champ Anderson Silva. Joe Rogan = happy. 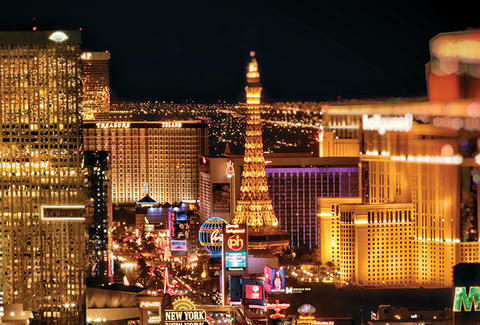 To fuel your event-hopping, there’ll be special NYE feasts at restos like Twist at Mandarin Oriental and Guy Savoy at Caesars Palace, and obviously there’ll still be signature Vegas to-do’s like golf, magic extravaganzas, and… well, the nightlife here is pretty big too.